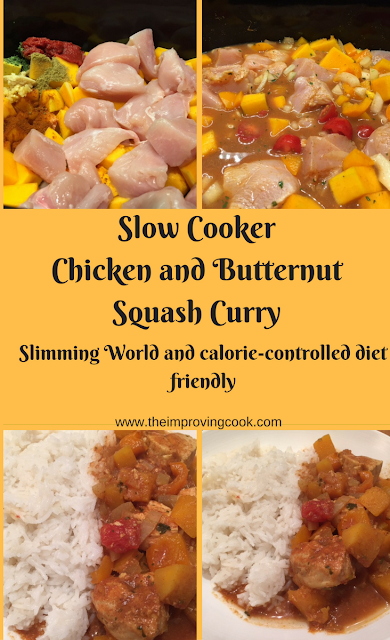 Slow Cooker Chicken and Butternut Squash Curry- a medium hot, Rogan Josh style chicken curry with butternut squash and red pepper, all made in the slow cooker. 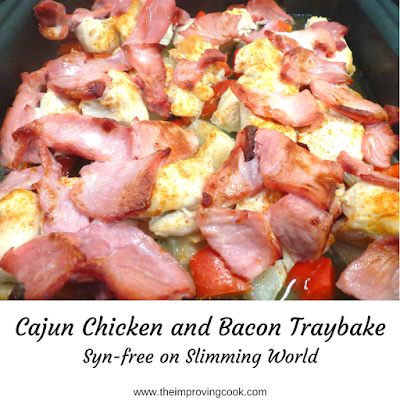 Low syn on Slimming World. Our shopping delivery had the most enormous butternut squash in it this week. I could have made an enormous batch of Curried Butternut Squash Soup but it really would have been an enormous batch! So, instead, I decided to use half of it to make soup and half to make a Slow Cooker Chicken and Butternut Squash Curry. Good timing as it's National Curry Week from 10-16th October. The curry I decided on was a Slow Cooker Rogan Josh style one with a tomato base. The butternut squash and the addition of red pepper add a lovely touch of sweetness to the flavour. I made the chicken curry at a medium-hot chilli heat, but you can adjust the heat to suit your own palate by using a milder or hotter curry paste and/or a milder or hotter chilli powder if you don't like too much spice. I didn't make my own curry paste, although that's something I would like to try in the future. Companies like Patak's do an amazing array of pastes, including for specific curries like Rogan Josh. If you can't find a Rogan Josh one, the Madras ones are widely available and are a good substitute. I would recommend using boneless chicken thighs ideally but, if you don't have those to hand, chicken breasts will also work. I used them myself this time and they worked very well. If you do use chicken breasts, make sure they lie on the top so that they don't get too soft and start shredding due to the slow cooking. Serve it up with some naan bread and some rice and away you go! A delicious home-made curry that takes virtually no effort, is much cheaper than take-away and definitely much lower in calories. This recipe is Slimming World Friendly at 1 syn per portion (for the curry paste). 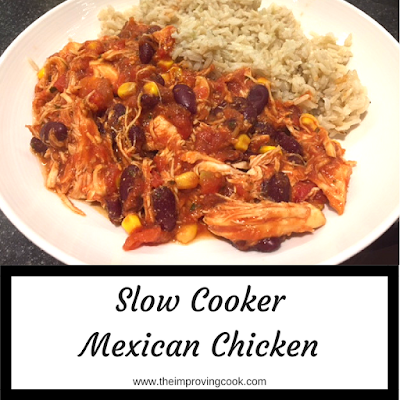 Looking for more slow cooker curry recipes? Pour the hot chicken stock into the slow cooker. Add the paste, garlic, coriander, spices and tomato puree and mix well. Peel and chop the butternut squash into roughly 2cm cubes and add to the liquid. Chop the onion fairly finely and the pepper into chunks and add to the liquid. Cut the chicken thighs into chunks or, if using breasts, cut the breasts into quarters and lay on top of the veg. 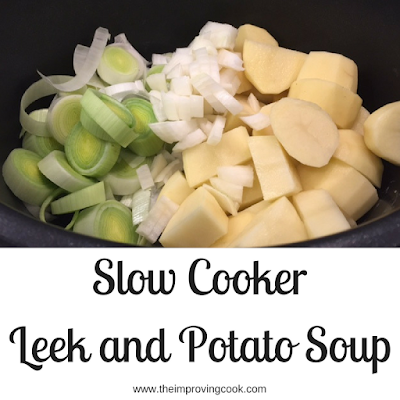 Put the lid on the slow cooker and cook on medium for 4-5 hours or high for 3-4. If you feel there's too much liquid, take the lid off for 45 minutes near the end. Give the curry a stir in the last hour. Serve with rice and naan bread, if desired. 1 syn per portion on Slimming World. It's perfect for this time of year. We fought over the left-overs! This sounds lovely and super low in calories. I reckon that you could get it down to 0 syns by making your own paste as ready-made pastes have quite a bit of oil which you could miss out. Yes I have 'making my own curry paste' on my list of things to try!